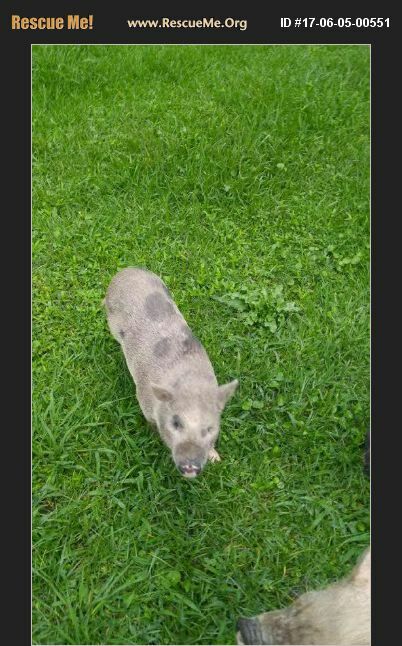 Dot is a female Pot Bellied pig. She was born about 1/2017. She is spayed. Dot was dumped off along with Stella at one of our volunteer's homes. They were abandoned on Friday and not secured in anyway. Our volunteer did not find them until Saturday. Some neighbors said they saw these two precious souls running in the road and around neighboring yards. Luckily they did not get hit by a car before our volunteer found them on Saturday. Dot now wants a home that will be responsible and will care for her for the rest of her life. She can be adopted with one of our other piggies or by herself. Can you please be her home?